Beneficial for various cramps and spasms. Positive effects on stress, sleep, depression and osteoporosis. The action of calcium and magnesium when absorbed separately is maximised by combining these two elements with orotic acid. 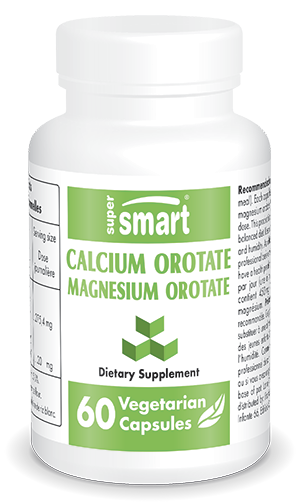 Each vegetarian capsule contains 450 mg calcium orotate and 50 mg magnesium orotate.